One of their products. Coming soon to an IllogiStore near you! Bat fork insane is a fork company that sells forks. Their most notable products are metalfork, 4 pronger, and the shiny fork. It was created in 1961 which the breakthrough invention of the spork. 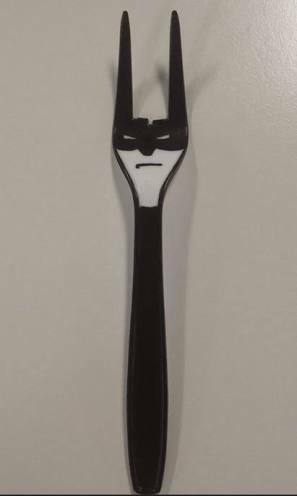 Back then it was called the "räußein Schneider corp" until they invented the batfork. The batfork could fly like a bat, so sales rocketed. 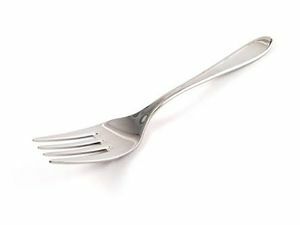 The ads about 'em always said at the end "we're bat fork insane for bat fork insane" which also helped their sales. But one day, they got robbed by Bill Gates! Oh no. They were stupid enough to go not put security cameras around they're houses, let alone assemble an army of batforks. So then they just started making normal forks, come on. There is only one left in The known universe. Wanna know why? It was just then. Which is precisely in nondescript/nondescript/nondescript. This page was last edited on 28 Novelniver 2017, at 09:26.